After years of reviewing wireless audio products, I must say that Bluetooth audio quality has improved by leaps and bounds. Today, some Bluetooth audio is so good that a consumer would not be able to tell the difference. But there is one thing that Bluetooth cannot overcome: wireless range. Although there are Bluetooth standards that can reach 100m, those are not commonly found in consumer audio products, which are mostly 10m. To enjoy true freedom, audio streaming over Wi-Fi is a more realistic option. Plus, Wi-Fi audio delivers better sound than Bluetooth. 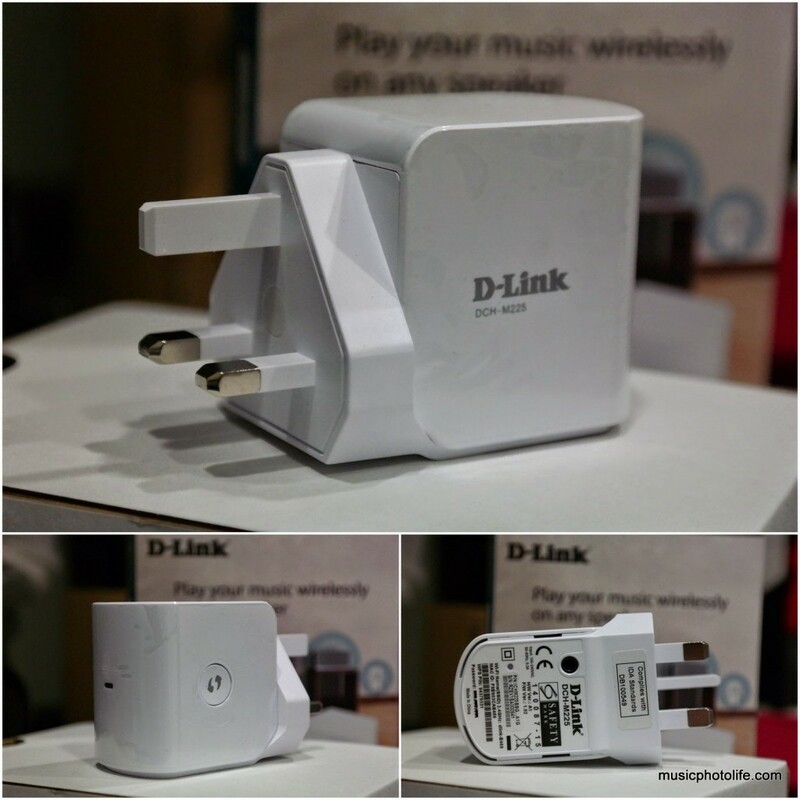 The D-Link DCH-M225 is a product that delivers audio via Wi-Fi to any speakers via 3.5mm audio jack within the reach of your Wi-Fi network. This product uses the DLNA and Airplay protocols to stream music from devices that supports these protocols. 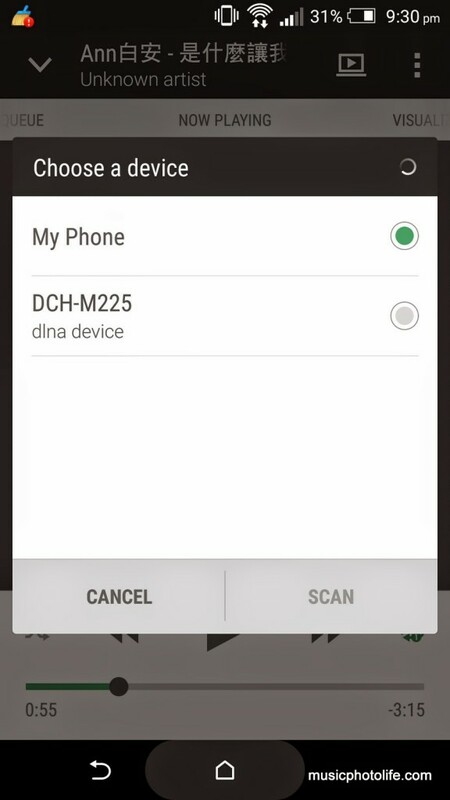 You can set up the DCH-M225 in 3 ways: use the WPS button to connect to your existing home network, manually log-in to the admin page of the M225, or use a smartphone app. The last method is the easiest. 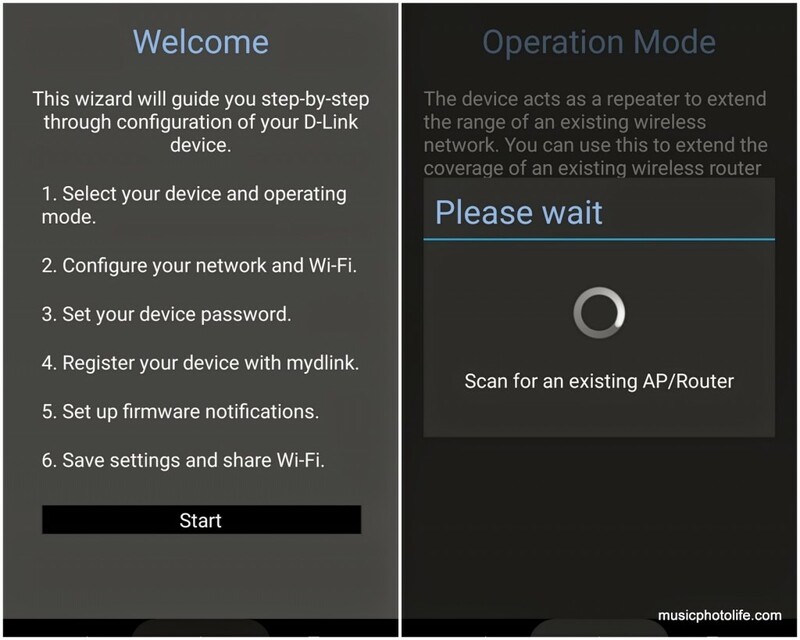 Go to Android Google Play store or iTunes to find “D-Link QRS Mobile” (QRS stands for “Quick Router Setup”). Follow the on-screen instructions and you are ready to go within a minute! Once successfully connected, the LED on the M225 will turn to green. All you have to do is to connect a 3.5mm audio cable from the M225 to any device with line-in. It can be a stereo Hi-Fi system, or a soundbar, or a portable speaker. On your music source device (it can be a desktop, laptop, smartphone, tablet), open the music app and search for the M225 device under the DLNA network or Airplay network. Select the device to stream music and that’s it! You might experience some lag in adjusting volume, changing tracks, though. But imagine the awesomeness of being able to play music from your smartphone through your high-quality audio system in your living room. There is no need to upgrade your stereo to be wireless-compatible. In fact, the only upgrade you need is spending S$69 on the DCH-M225! The M225 is also a Wi-Fi range extender too! But that is a secondary feature, so don’t get this solely for extending range. 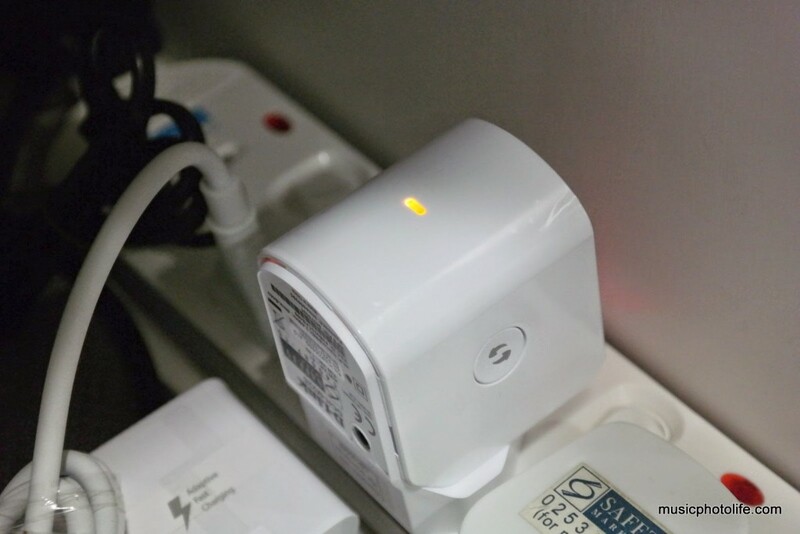 If the M225 is within the healthy range from your primary home router, then the M225 will be able to extend the Wi-Fi signal and provide good bandwidth, though I often find I get better response if I switch the access point back to my existing router. Also, when moving around the house, the M225 Wi-Fi signal may be less powerful than your dedicated router product, so if your device continues to lock on to the weaker M225 access point instead of your existing better home network, your data quality may suffer. Such are common issues when using any range extender together with your existing router. Nevertheless, the range extender function can come in handy, and might complement your home setup. For what it is made for, I have no complaints with the DCH-M225. It is easy to set up and works as promised. Price is reasonable considering it functions as a DLNA and Apple Airplay devices.